I've been invited to participate in an exhibition of American jewellers and metalsmiths in Kentucky this September, in celebration of the opening of a new gold and silversmithing course at the Paducah School of Art in January 2013. With all the difficulties we're facing with jewellery education in Victorian TAFEs, I'm excited to be involved in a celebration of a new jewellery department at the American equivalent of TAFE. 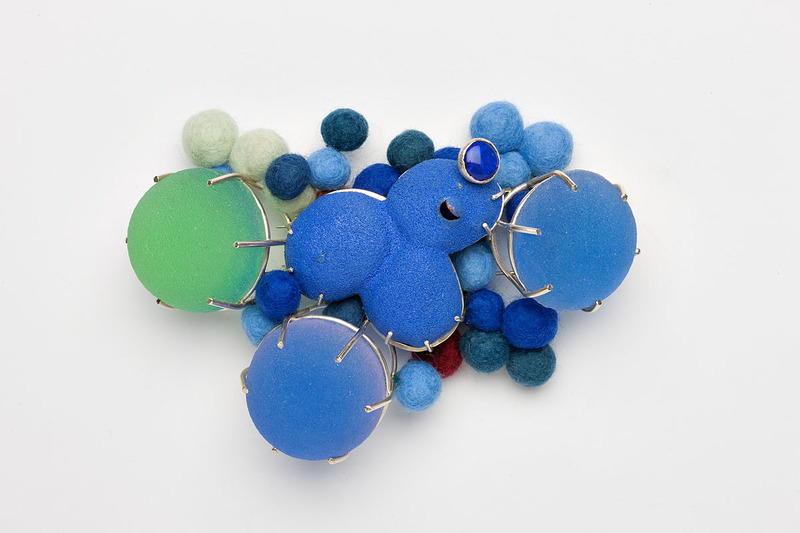 The Paducah School of Art Jewelry and Metals Invitational is a survey of contemporary jewellery and small-scale sculptural and utilitarian works by leading artists from across the United States working primarily with metals. The exhibition will be held at the Clemens Gallery at West Kentucky Community and Technical College, 4810 Alben Barkley Drive in Paducah, Kentucky. It runs from 20 September - 12 October, with an opening reception at 5pm on 21 September. If you're in Kentucky, stop by and support the opening of a new jewellery department! Correction: The opening reception is Friday 21 September from 5-7pm, not 20 September as I originally stated!